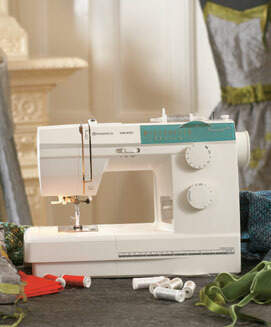 15 stitches  trim, stitch, overcast and decorate projects in half the time. 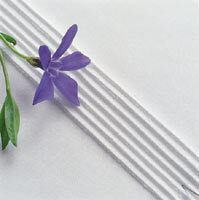 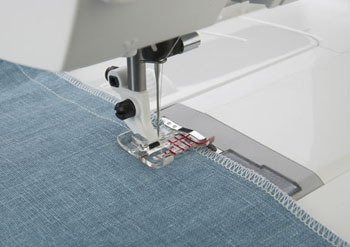 - Built-in rolled edge  sew 2- or 3-thread rolled hems quickly without changing the presser foot or the stitch plate. 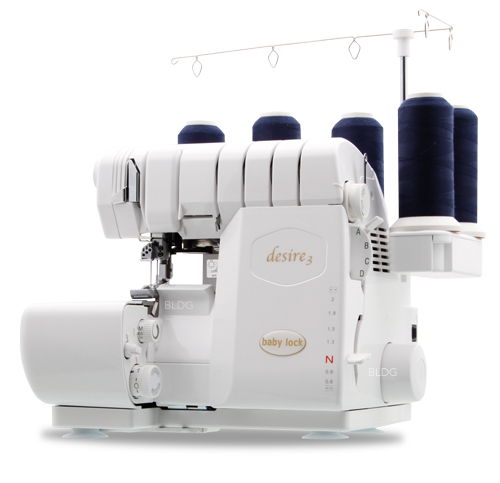 - Lay-in tension and color coded thread paths for quick, convenient threading. 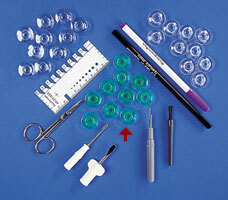 - Threading Guides  detailed interactive DVD and printed quick guide for threading all stitches. 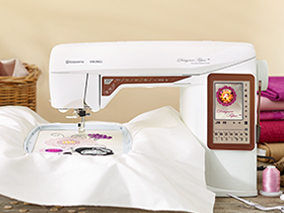 - Free arm  makes sewing cuffs, sleeves and other small areas easy. 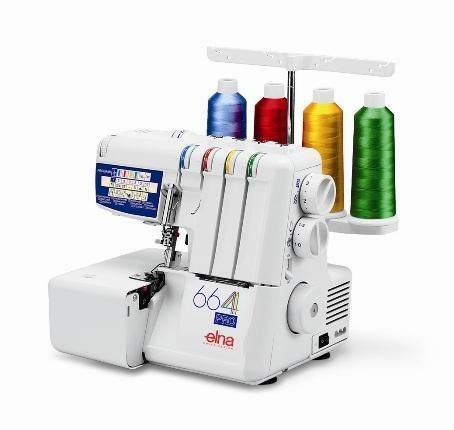 - Electronic speed control  stitch-by-stitch control with full piercing power at all speeds. 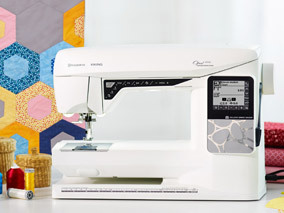 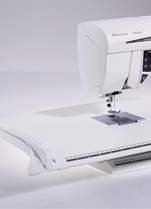 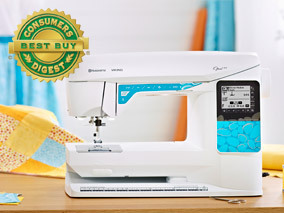 - Sews 1300 stitches per minute  sew faster save time. 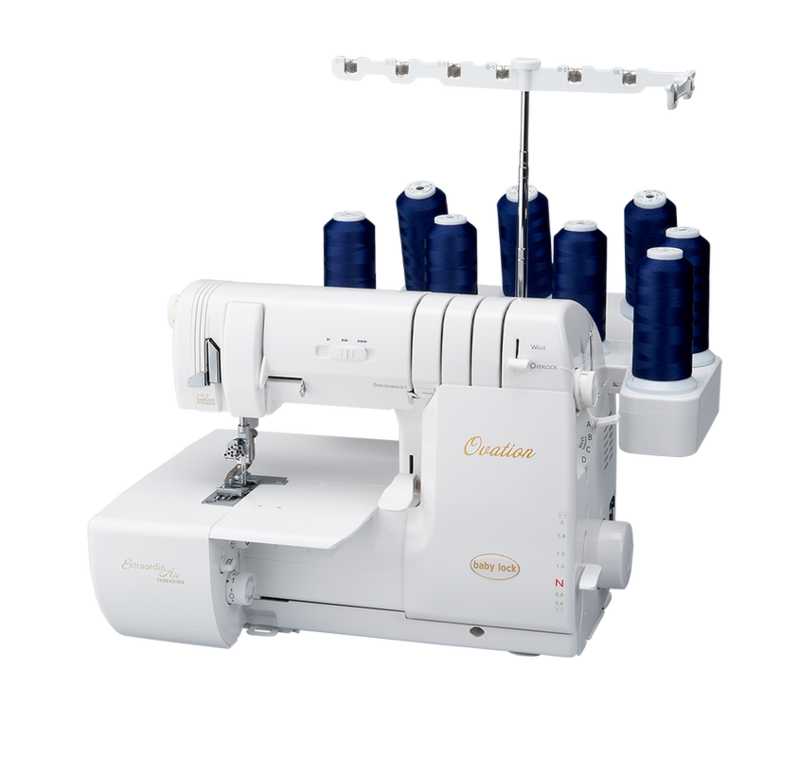 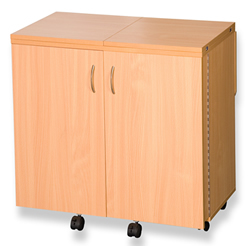 - Built-in extended carrying handle  move the machine without tangling the threads. 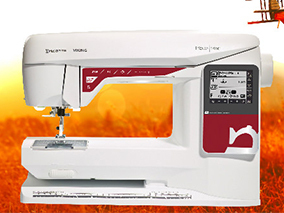 - Moveable upper cutter  disengage the cutter for special techniques.